Maxum 3500 SCR MUST BE SOLD ! 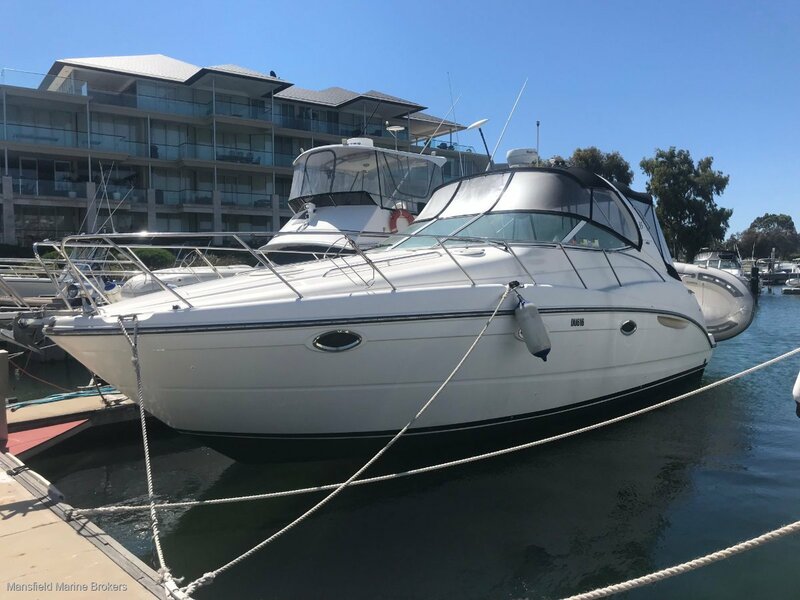 Mansfield Marine are WA's largest brokerage offering vast experience in boating, the best display of vessels and in house service. We pride ouirselves on giving down to earth advice and achieving the best outcomes for our clients. 2 x large doubles plus more. The midship double is in a private cabin. Double helm seat, L shape lounge opposite skipper and large U shape al fresco dining suite, plus wet bar with ice maker & sink, transom door to extended swim platform with HD stainless steel U bar rail, barbeque, dinghy snap davits & boarding ladder. Walkthrough windscreen to the foredeck plus full length rails for the side deck access. Daybed for the foredeck and step through access to the bow.